Heart52 is a small business selling medical jewelry. 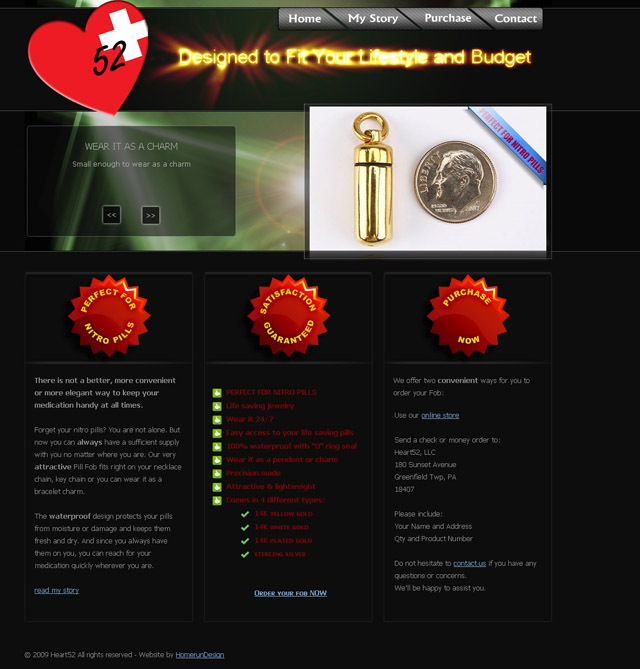 Client wanted a web site that would be presentable and easy to use. Lot of jQuery and Flash was used to integrate the ‘bells and whistles’ in order to draw user attention and make the web site memorable. At the same time, everything on the web site is designed with the purpose of the web site in mind – to make a sale. Thanks Pavol, It looks great. Nice job.